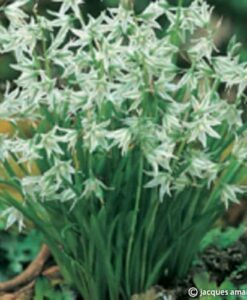 Flowering spike capped small, white fragrant flowers with green, central stripes that flowers from May to August. 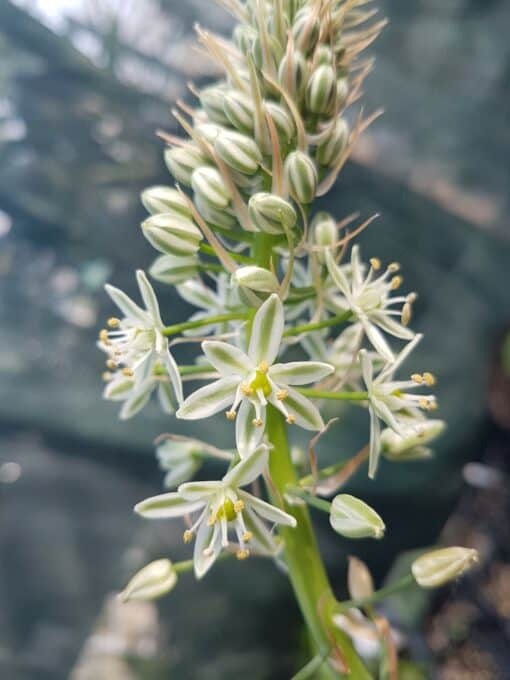 Also called False Sea Onion or pregnant onion. It is a rather curious bulbous plant. It a classic cryptophyte that dies back during the dry period. 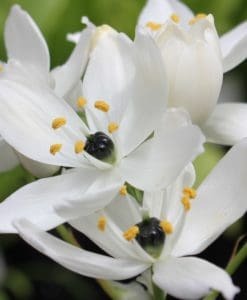 It has flowering spike capped small, white fragrant flowers with green, central stripes that flowers from May to August. Prefers some direct sun. Does well with added peat to retain water yet drains well. Let it dry slightly between waterings. During the winter, the plants are allowed to go dormant and are stored in the cold storage until spring. Hardy up to -5C. 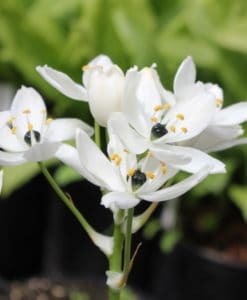 Flowering size dormant bulbs offered.